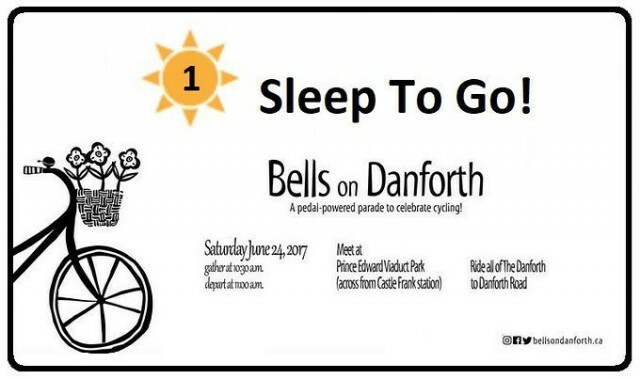 We’ve updated the details for Bells on Danforth 2018, including the full route. 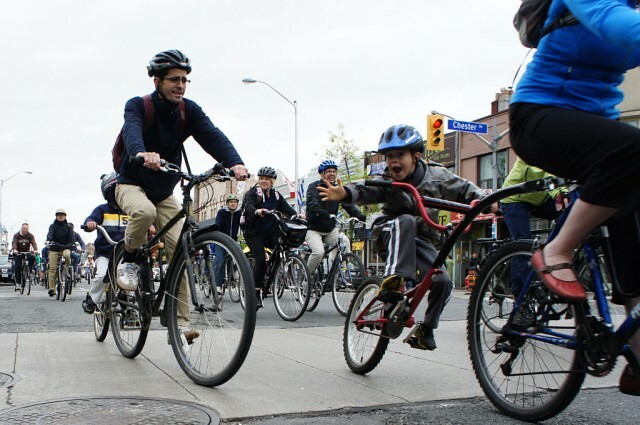 Remember that we have a new starting point this year at Withrow Park, one block south of Danforth between Logan and Carlaw. Look for us on the Logan side of the park. Visit the Bells on Danforth 2018 Details page for all of the latest information about this year’s event. 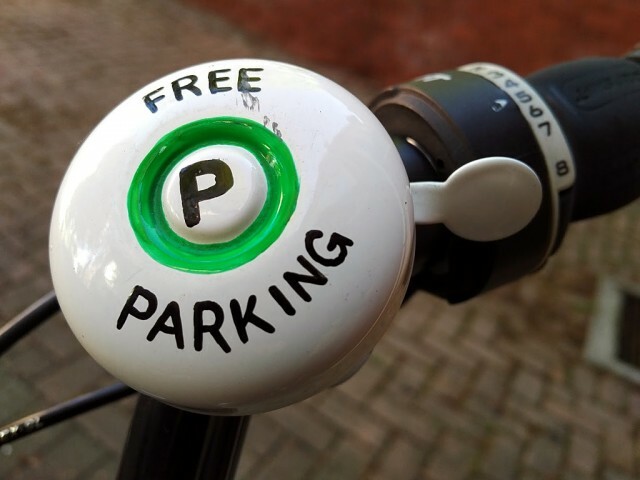 Don’t miss what’s sure to be a great ride! We’re back! 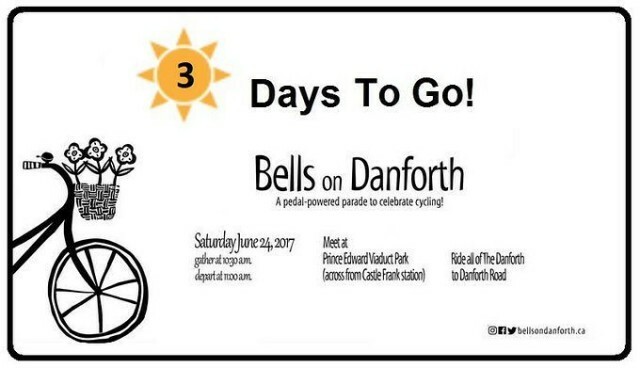 The 2017 edition of Bells on Danforth is set for Saturday, June 24. 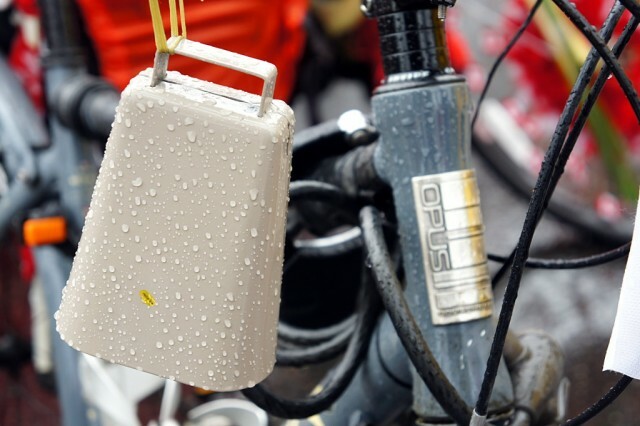 More details will be posted on the ride page as we get closer to the big day. Also follow us on Facebook, Twitter, and Instagram. 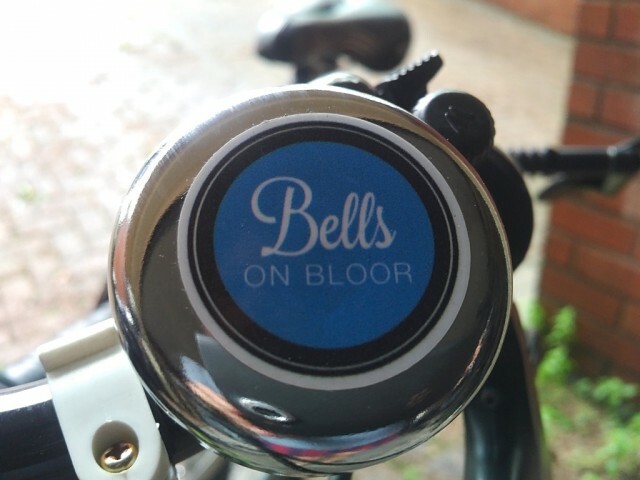 If you’d like to volunteer this year, contact us at info@bellsondanforth.ca or come to our next volunteer meeting. 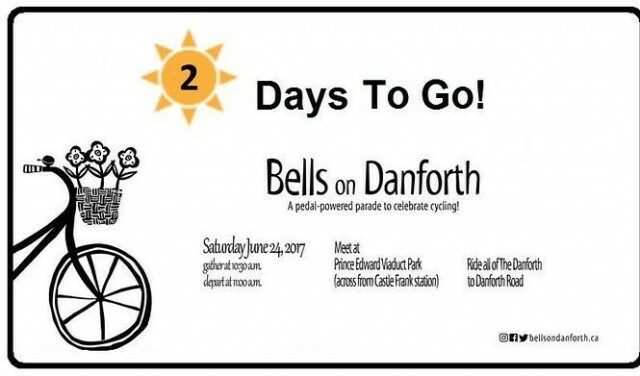 Have you taken part in Bells on Danforth in the past and wondered, “Gee, this is fun, but I really wish I could do something to help out before the ride”? 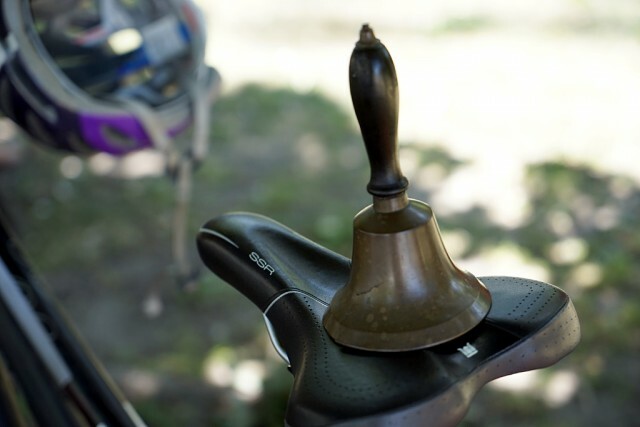 Well, wonder no more, your dreams have been answered! Just join us for our next volunteer meeting and we’ll have you working on your dream in no time! 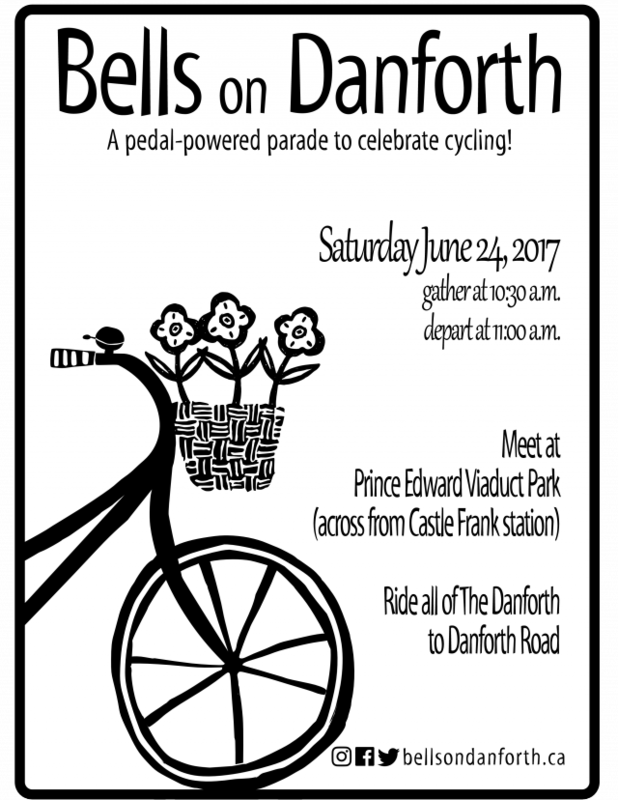 Contact us at info@bellsondanforth.ca if you have any questions or if you aren’t able to attend this meeting but would still like to be involved.